I happily eat this warm or cold after being refrigerated. No matter how it's served, I'm taken straight back to the early 90's in the kitchen. Little did I know how powerful the dishes of my youth would be for me today. And that my denim floral ensembles would not always be in style ... but neon scrunchies are back right? 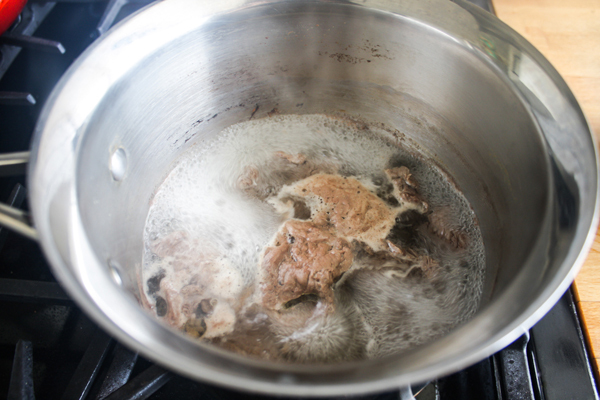 Boil the meat for about 25 minutes, until tender. Scrap off the foam from the top and discard. Peel and halve the garlic cloves and white onion. Put the soy sauce, fish sauce, brown sugar, gochugaru and rice wine vinegar into the pot. Stir until sugar is dissolved, then add the garlic, onions and quail eggs. Keep at a low boil for 7 minutes. If water is getting too low (not covering) add more water. 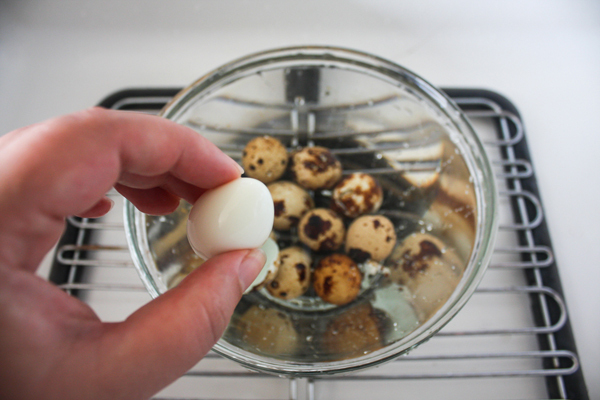 While keeping the pot boiling, Take out the quail eggs and peel the shells off. Put the whole eggs back into the broth. Keep at a low boil for about 3-5 more minutes. Cool everything down and store in a glass container, then in the fridge. Serve with rice and kimchi. - Chicken eggs can be substituted for quail eggs. Boil the eggs for at least 10 minutes and leave the peeled eggs in the broth longer before serving. 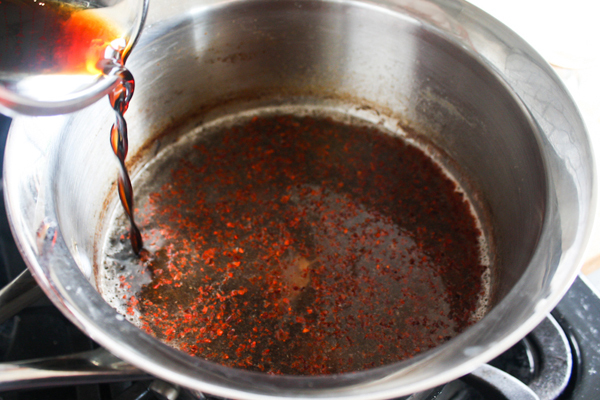 - If you have a lot of broth left after everything is eaten, save it to mix in with hot rice for another meal. Mandu is the Korean version of lumpia, pot stickers, gyoza, or any other dumpling out there. Mandu-mania is the fun you have making about a hundred of these tasty bundles. Having flashbacks of my childhood with my umma and her friends gathering around making thousands of these together makes me realize two things: dumplings take some love to make, and it helps to clear the mind. Cheaper than therapy and at the end you get to eat! The main difference between the varieties of dumplings is the filling. This recipe is a base on what I usually start with, then add whatever else I want as an extra bonus, like kimchi and spiciness. My umma would tell you this isn't the filling she would have done, but I say every household has their version of memory filled meals.